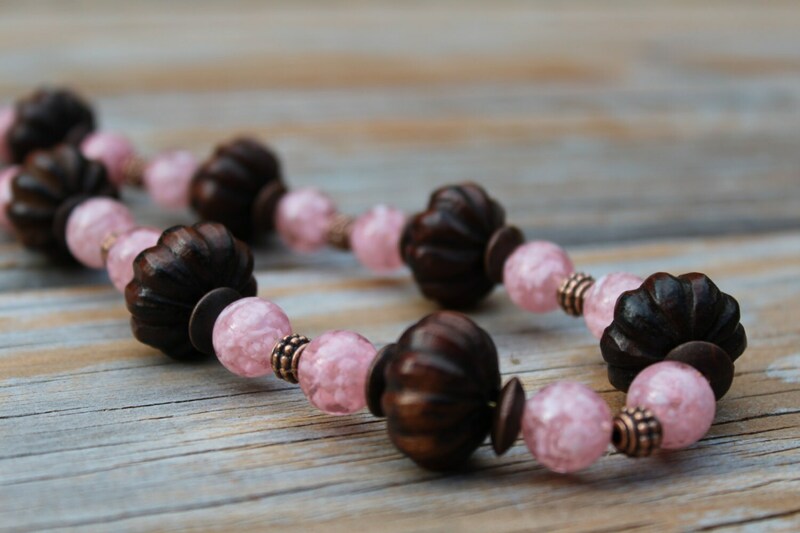 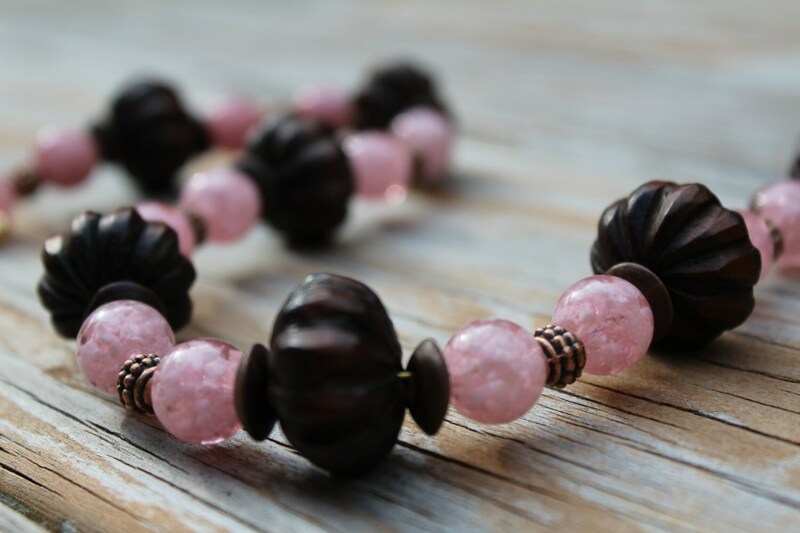 This preppy style, wood bead necklace is a wonderful "go-to" piece that offers rugged hand carved wood beads, together with soft tone pink resin rounds. 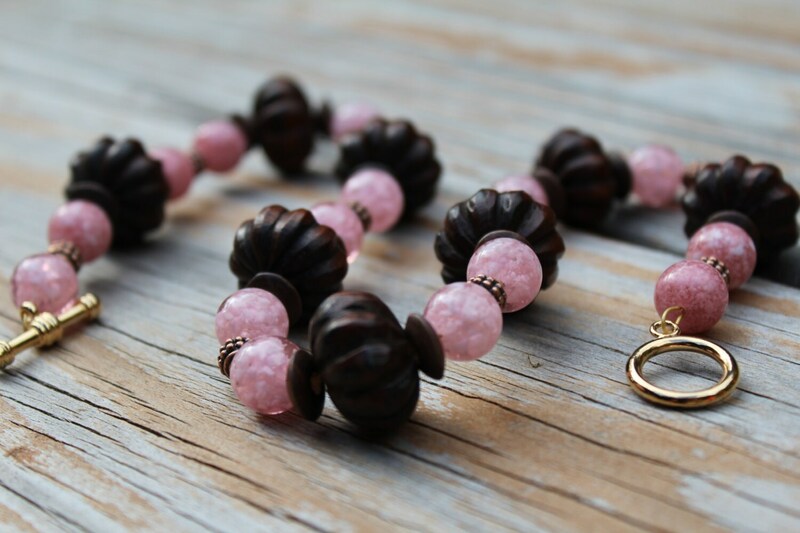 Some color combinations continue to prove classic...pink and brown is one of them! 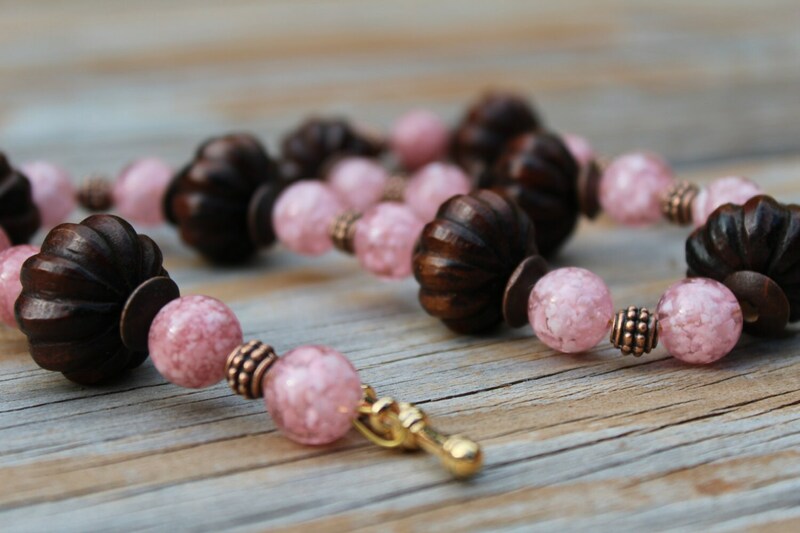 This necklace is approximately 18 inches long, and has a great toggle clasp.